Create Your Own Season Ticket Package: Choose 4-8 Performances! This season, Lyric has made it easier than ever to create a custom package where you pick the operas, the dates, and your seats - and still save up to 30%. Packages start at just $24 per seat - start building your dream package today! 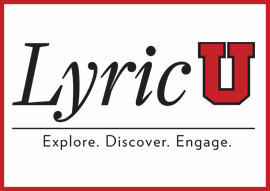 Lyric U is a new resource for all things opera. Whether you’re new to the art form and looking for Opera 101 or an aficionado who wants to earn a PhD in Advanced Opera Studies, let Lyric U guide the way with an ever-expanding video library. Lyric Unlimited's Youth Opera Council had a second great season. Officially launched with the 2013/14 season, the Youth Opera Council is a group of 22 high school-aged opera lovers who are dedicated to spreading the word about this fantastic art form. 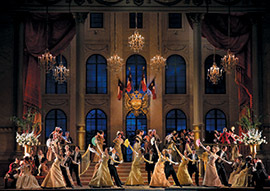 Here's an insider's perspective on the council from member Adina Harris, who talks about the "wild ride of opera."